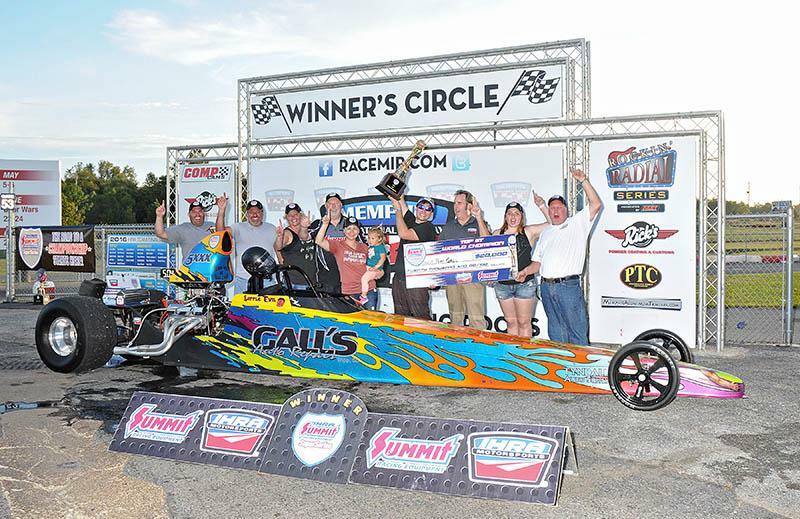 Millington, TN - Tom Gall from Beresford, S.D., won the Top World Championship. Chris Black from Butler, Pa., captured the Mod World Championship. 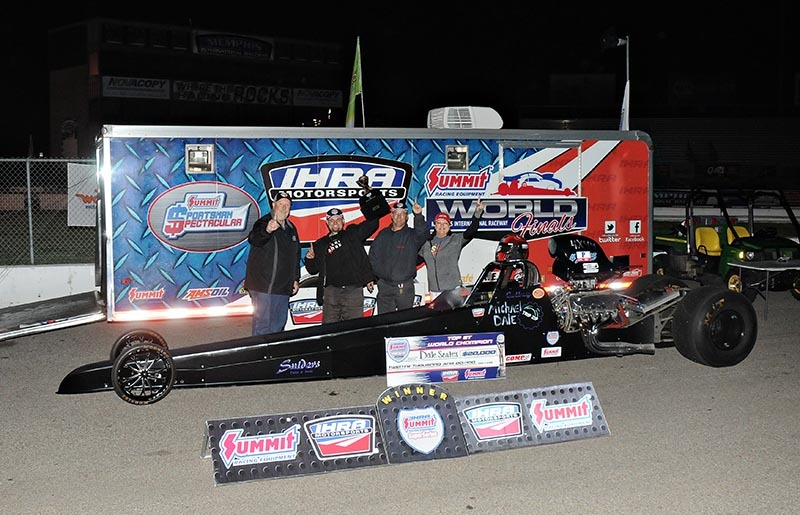 Luke Schwemler from Amherstburg, Ontario, Canada won the Junior Dragster crown. 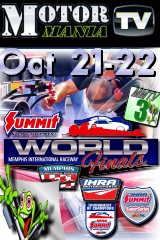 Memphis, TN - The Summit Racing Equipment IHRA World Finals from Memphis International Raceway begins Friday morning. 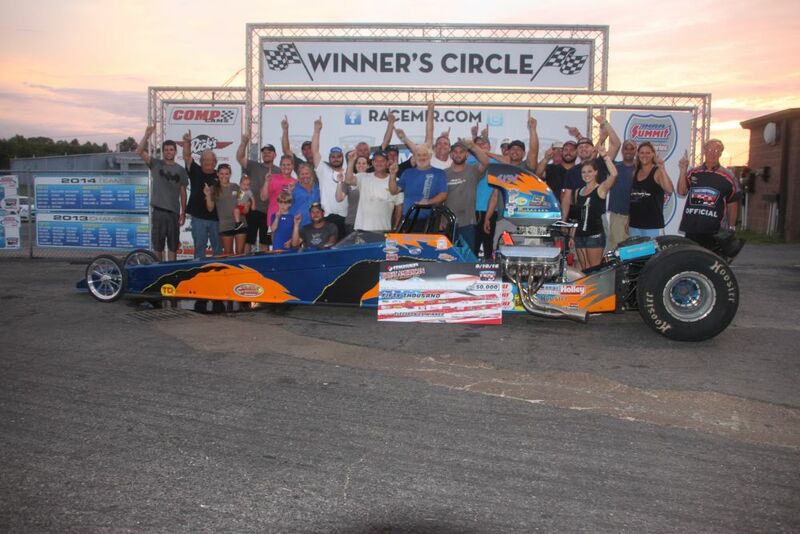 All the weekend's racing action will be broadcast right here on DRR. Click for Live Coverage page. 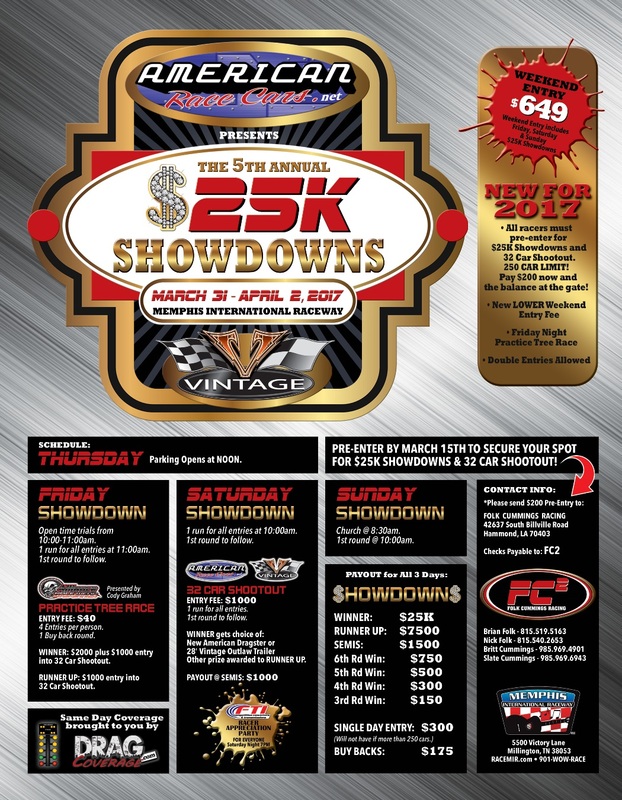 Gallatin, TN - This weekend the $25K Showdowns is the "Lone" Featured Big Bucks Event on the schedule. 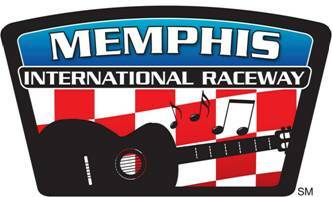 Memphis, TN will host the 5th Annual event presented by American Race Cars and Vintage Trailers. $25k to Win on Friday, Saturday and Sunday for Top Bulb Racers. Click Here for Flyer! Memphis, TN - Plain and simple the Moser GABR is eager to find out which State has the "Sickest of the Sick" sportsman drag racers in the land by constructing a race that will settle this Great Debate on the track. Memphis, TN - As we kick off the 2017 racing season, the Summit Bracket Racing Series presented by COMP Cams will kick off on February 12 with no increase in entry fee and adjusted payout structure to pay further back. 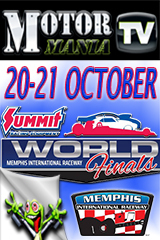 Millington, TN - IHRA Summit Racing Equipment World Finals broadcast LIVE by MMTV all weekend long right here on DragRaceResults.com beginning Friday at 12 Noon CST. 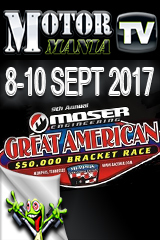 Watch all your racing buddies compete for a World Championship at Memphis International Raceway. CLICK HERE for Live Feed. Millington, TN - The $50,000 to win got underway just after 10 a.m. on Saturday morning and by 7 p.m. the winner was crowned. When all was said and done, it was Jeff Bobo of Walnut, MS and Tony Giambrone of Metairie, LA. Bobo with a .001 reaction time running a 4.77 with a 7 on a 4.77 dial in took the win.